Confused About Genocide in Guatemala? Apparently You’re Not Alone. Amazingly enough, there seems to be some confusion about whether or not genocide actually occurred in Guatemala’s lengthy civil war (1960-1996). 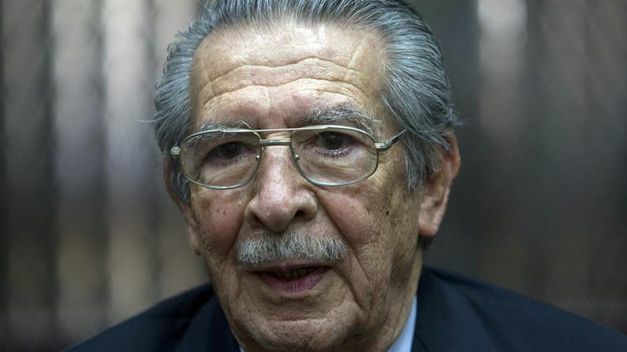 This unlikely debate has come to life due to the ongoing trial of former dictator General José Efraín Ríos Montt, charged with genocide and crimes against humanity committed during his brief but highly violent reign (1982-1983). The Council on Hemispheric Affairs recently published a number of articles regarding the Ríos Montt trial and the genocide in Guatemala. The commission included two Guatemalans who survived their country’s period of brutal violence, so it is not possible to argue that the commission itself was unfamiliar with on-the-ground situations. 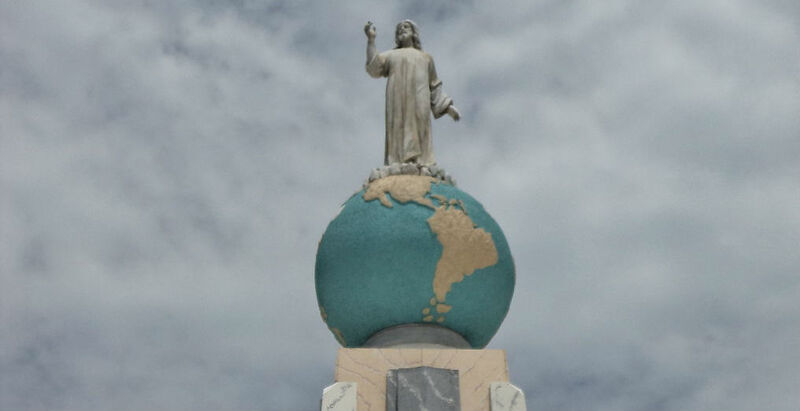 The commission heard thousands of testimonies, listened to former heads of state as well as military and guerilla leaders, and read documents from a variety of civil organizations. The commission’s 1999 report, titled “Guatemala: Memory of Silence,” represents nearly a year of research and investigation. Based on their investigation, the CEH was able to confirm that between 1981 and 1983 the army identified groups of the Mayan population as “the internal enemy” and thereby “defined a concept of internal enemy that went beyond guerrilla sympathisers, combatants or militants to include civilians from specific ethnic groups.” The CEH also concluded that the repetition of destructive acts “directed systematically against the Mayan population”—including minors “who could not possibly have been military targets”—“demonstrates that the only common denominator for all the victims was the fact that they belonged to a specific ethnic group and makes it evident that these acts were committed ‘with intent to destroy, in whole or in part’” these groups, a direct violation of Article II Paragraph 109 of the Convention previously quoted. The CEH’s investigation showed that the Guatemalan military carried out at least 626 massacres, nearly each of which was preceded by a careful gathering of the community, usually by surrounding the community or by exploiting situations in which people were already gathered for celebrations or market days. 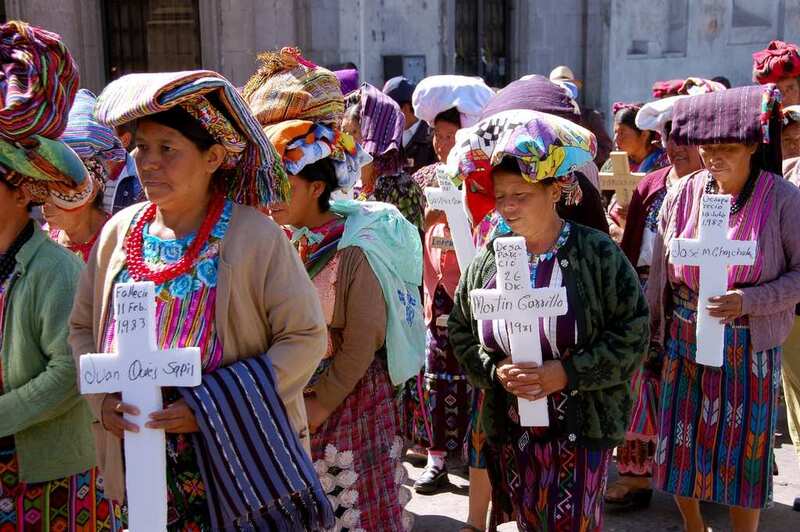 Of the more than 200,000 people killed during the armed conflict in Guatemala, 83 percent were of Mayan descent. The commission also discovered that, along with the killings, the military or its Civil Patrols “systematically committed acts of extreme cruelty, including torture and other cruel, inhuman and degrading actions,” in order to terrorize the population and destroy the foundations of social cohesion, particularly when victims were forced to witness or execute these acts themselves. This deliberate destruction of social cohesion directly indicates intent to annihilate the group, both physically and spiritually. …agents of the State of Guatemala, within the framework of counterinsurgency operations carried out between 1981 and 1983, committed acts of genocide against groups of Mayan people which lived [in the Quiche region]. This conclusion is based on the evidence that, in light of Article II of the Convention on the Prevention and Punishment of the Crime of Genocide, the killing of members of Mayan groups occurred (Article II.a), serious bodily or mental harm was inflicted (Article II.b) and the group was deliberately subjected to living conditions calculated to bring about its physical destruction in whole or in part (Article II.c). The conclusion is also based on the evidence that all these acts were committed “with intent to destroy, in whole or in part” groups identified by their common ethnicity, by reason thereof, whatever the cause, motive or final objective of these acts may have been (Article II, first paragraph). The Guatemalan civil war and the other bloody conflicts that took place in Central America throughout the 1960s-1980s/1990s have been widely covered by COHA. We welcome a debate on whether a particular leader, such as Ríos Montt, either ordered or was aware of the mass human rights violations that took place during this period. Nevertheless, these crimes specifically targeting the Ixil people in Guatemala occurred. Individuals who do not believe that this happened—either due to a lack of information or because of personal support for Ríos Montt—are entitled to their own opinion. But denying that genocide took place in Guatemala, given the overwhelming evidence to the contrary, raises grave questions over the motives of those challenging the grim reality that the Guatemalan ‘Silent Genocide’ did, in fact, occur.